In 2018, Teacher Loan Forgiveness remains available to thousands of teachers across the country via the Stafford Loan Forgiveness Program. What makes the Stafford Loan Forgiveness Program so special? Stafford Loans allow you to borrow money at a low interest rate, then qualify for total loan forgiveness benefits after you’ve completed enough years teaching as a “fully-qualified teacher”. If you’ve taken out a Stafford Loan, or if you’re planning on becoming a teacher and looking for the best opportunity to qualify for Teacher Loan Forgiveness Benefits, then you’ll definitely want to read through the entirety of this page, as I’ll teach you how to maximize your available benefits. Let me give you a quick word of advice: if you read through this page, and still can’t tell with certainty whether or not you qualify for Stafford Loan Forgiveness Benefits, then you need to speak with a student loan debt relief expert. If you read through this page, and still aren’t sure whether the Stafford Loan Forgiveness Program is your best option for getting rid of your loans quickly, then you also need to speak with a student loan debt relief expert. 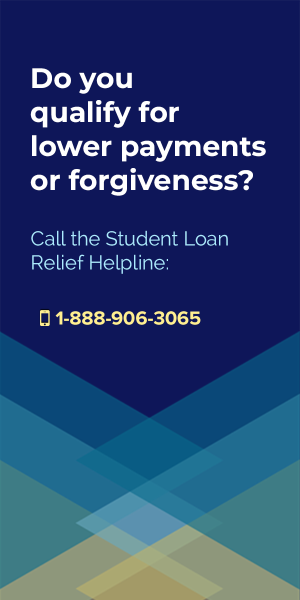 The best experts in the industry work for the Student Loan Relief Helpline, who can review your specific financial situation, tell you which forgiveness, cancellation or discharge programs you qualify for, and even handle all the research, paperwork and applications for you (if you choose to hire them). My recommendation for tackling your loans is that you call the Helpline, ask them what options you have, find out how much it’d cost to get their assistance, then simply pay them if you can afford it, and move on with your life! Stafford Loan Forgiveness remains one of the best student loan forgiveness programs available to teachers, with excellent forgiveness benefits to anyone that satisfies the eligibility restrictions of the program. The Stafford Loan Forgiveness Program was created to encourage highly qualified college graduates to become teachers, or to continue teaching, and to seek out advanced degrees in niche topic areas. And Stafford Loan Forgiveness is no small benefit, because this program provides up to $17,500 in loan forgiveness for teachers who have taken out Direct Subsidized and Unsubsidized Loans, or Subsidized and Unsubsidized Federal Stafford Loans. To be eligible for Stafford Loan Forgiveness, you must agree to teach full-time for five complete and consecutive academic years at a qualifying elementary school, secondary school or an educational service agency that primarily serves low-income families. Please note that those individuals with PLUS loans are not eligible to participate in the Federal Teacher Loan Forgiveness Program. Not everyone with qualifying loans will be able to receive Stafford Loan Forgiveness. In fact, anyone with Private loans, and even many teachers with Federal student loans won’t be able to take advantage of this program, because the eligibility conditions are quite strict. Not have had an outstanding balance on Direct Loans or Federal Family Education Loan (FEEL) Program loans as of October 1st, 1998, or on the date that you obtained a Direct Loan or FEEL Program loan after October 1st, 1998. Not be in default on a subsidized or unsubsidized loan, unless you have already made repayment arrangements with the lender of your defaulted loan. Get information on how to made approved loan repayment arrangements here. Have loans that you want to receive forgiveness on which were not made before the end of your five years of qualifying teaching service. This means that you can’t get forgiveness for loans you take out after you’ve already satisfied the requirements of the program. Not count time you spent teaching through AmeriCorps to satisfy your required five years of teaching for Teacher Loan Forgiveness. You cannot double-dip with AmeriCorps teaching experience. Your five years must come from outside of time spent working with AmeriCorps. Be employed full-time for five complete and consecutive academic years, with at least one of those years having been after the 1997-1998 academic year. For those of you either in school, or planning to attend school now, this will not be an issue. The school must be listed in the Government’s Annual Directory of Designated Low-Income Schools for Teacher Cancellation Benefits (find that list here). Any school operated by the Bureau of Indian Education (BIE) or on an Indian reservation by a tribal group under contract with the BIE will also qualify for this requirement. If your school meets the requirements of one of the preceeding conditions for at least one year of your service there, but fails to meet those requirements in following years, then you may still be able to count following years toward your five years of required service. As I mentioned above, no. And that’s where most people go wrong. Almost everyone I talk to thinks that simply being a teacher entitles you to some form of loan forgiveness benefits, but unfortunately, that’s not the case. To qualify for Stafford Loan Forgiveness benefits, you’ve got to meet some particular eligibility conditions, including meeting the Government’s approved definition of a “Highly Qualified Teacher”. According to the rules of the program, you will only count as a “Highly Qualified Teacher” if you provide direct classroom teaching, or classroom-like teaching in a non-classroom setting (like a library, gymnasium, etc.). If you do not satisfy these requirements, then you will not be able to receive Stafford Loan Forgiveness benefits. The Federal Government has developed a strict definition of who counts as “Highly Qualified Teacher”, and only those individuals who satisfy this description will be available for receiving benefits under the Teacher Loan Forgiveness program. What is a “Highly Qualified Teacher”? Not have had certification or licensure requirements waived on an any basis, be that due to emergencies, temporary or provisional reasons. One thing to note is that all Special Education teachers (whether or not they meet the “Highly Qualified Teacher” considerations above) do qualify for Stafford Loan Forgiveness. To qualify for Stafford Loan Forgiveness benefits, you must teach for five complete and consecutive academic years at a school who primarily serves low-income students. If you fail to satisfy this condition (by taking a year off, or teaching for less than five years), then you will compromise your eligibility. This is one of the most important considerations to keep in mind, because any violation from this rule will ruin your chance at receiving loan forgiveness benefits. What Happens if I Miss an Academic Year? What is a Low-Income School? The Federal Government determines which schools count as “Low-Income Schools”, so even if you think that your’e serving at a qualifying institution, you’ll have to make sure that they agree. To find out if your school qualifies for the Low-Income School requirement, you’ll need to view the annual U.S. Department of Education’s official list of Low-Income Elementary and Secondary Schools. You can find the current 2017 list of low-income schools online here, but you will need to search for the year or years that you have been employed as a teacher to make sure that the school qualifies during the time period that you were teaching. If you think your school should qualify, but don’t see it on the list, the Federal Government requests that you contact the State Education Agency Contact for your state to find out why they haven’t been included in the list. To do that, use the list of State Education Agency Contacts, here. It is possible to qualify for Stafford Loan Forgiveness even if you don’t teach at an actual school, but if you are employed by a qualified Educational Service Agency that primarily serves low-income students. You will need to be able to prove, in writing, that your employer satisfies the same eligibility requirements, however, and it is a much more involved process than simply picking a school from the list of Federally sanctioned list of low-income schools. 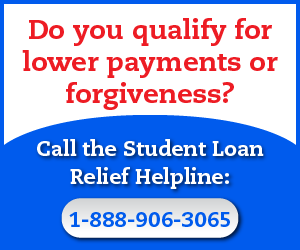 How do I Apply for Stafford Loan Forgiveness? To officially apply for the program, you will have to have already completed your five-year teaching requirement, so make sure that you are doing this in the proper order. Once you’ve satisfied the eligibility conditions, you should download and fill out the official 2016 Teacher Loan Forgiveness Application (which you can find here). Please keep in mind that you will need to speak with the chief administrative officer from the school at which you taught, since only they can fill out the certification section required to receive benefits. Also note that if your qualified teaching experience took place at multiple schools, then you will need to have the chief administrative officers from each of those schools certify your eligibility to receive Stafford Loan Forgiveness benefits. Should you need to receive certification from multiple chief administrative officers, please provide the additional certifications on a separate piece of paper, and submit that along with your completed application. To submit your application, you will need to provide all the completed materials to your loan servicer (that’s whoever holds or services your qualifying student loan – typically the same people that you send your monthly checks to). If your loans are held by multiple lenders, then you will need to submit separate applications to each of those lenders. Since Stafford Loan Forgiveness is quite complicated, there are bound to be confusions regarding some of the details for how this program works. Fortunately, the Federal Government has created a simple fact sheet (which you can find here) that summarizes the eligibility requirements, benefits, and applications process. If you have any other questions about the Stafford Loan Forgiveness Program, please feel free to ask them in the comments section below. I will do my best to answer any questions received within 24 hours. If you found this page useful, then please help me out by sending it to a family member, friend, or colleague. I rely on people like you to get the word out that this website exists, and I can only afford to keep dedication so much time and energy to maintaining this site if more people find out about it! Thank you for visiting, and thank you for your help! I have found a lot of information about the qualifications required of classroom teachers to be eligible of the Stafford Loan Forgiveness Program, but not a lot about non-classroom teachers, adapted physical education teachers in particular. If an APE teacher worked in a qualifying agency for 5 years and had appropriate loans, would they be able to apply for the Stafford Federal Loan Forgiveness Program? Thank you for creating this site! It makes a very daunting amount of information seem much more manageable. Unfortunately, the lines are a little blurred on that front. Certain elements of the Stafford Loans Forgiveness process are a bit of a mystery, and this is one of those details that I’ve never seen clearly explained. Here is my advice to you though – contact your HR Department and ask them to look into this for you. It is literally their job to know about these sorts of benefits and to be able to advise you on whether or not you qualify for certain elements of these sorts of programs. Your only other option would be getting int ouch with someone from the Department of Education directly, which could be impossible, or asking your Student Loan Servicing Company, who may literally lie to you or at least mislead you about the benefits on purpose. I am in my 5th year at an eligible school but I am half time Adapted Physical Education and half time General Physical Education. Does that qualify me for only the $5,000 forgiveness since my special ed job responsibilities aren’t full time in itself? Or since I am full time and partly in the special education field, I qualify for more than $5000 but less than $17,500? This is a good question and one that you should take up with your HR Department, who is responsible for understanding benefits like these, your Student Loan Servicing Company, or someone from the Department of Education. I am not entirely sure how they’ll rule in your case. I have not seem any programs for ENL/ESL Teachers, but if you’re doing this teaching as part of the 501(c)(3) nonprofit organization, then you’ll have access to the Public Service Loan Forgiveness Program via Non-Profit Worker Forgiveness Benefits. My advice would be to find a way to start working for a qualifying 501(c)(3), or to get a job working for the Government (at the Federal, State or Local level), offering the same teaching service, but now in a position that lets you utilize PSLF. I have a complicated history of teaching experience. I have taught at various low-income schools in my state and have moved frequently because my husband was a superintendent. I am try to find out answers about what to do or when to apply and when I do that math it seems that I won’t even get any of my debt paid off. I have taught in the classroom consecutively for four years before that I was teaching students speech with a separate contracted company that supplied the schools with therapists. How can I find out if this would qualify for my 5 years of teaching? Also, what if I owe less than 5,000 by the time I qualify will the Federal Program only pay what is owed or give the 5,000? I would contact the Department of Education directly to find out if your experience qualifies. Or try contacting the HR Department from your old places of employment (they may not be helpful since you no longer work there, so that could be a long shot). These programs are pretty complicated and it’s sometimes really tough to tell what you actually qualify for. If you owe less than $5,000 then your entire loan balance will be forgiven, but you won’t be given any additional money. If your consolidated loans were ALL Federal, and ALL eligible for Stafford Loan Forgiveness, then you may still have access to the benefit, but if you consolidated non-eligible loans with your Stafford loans, then you won’t be able to use it. I’m a “highly qualified” middle school math teacher at a low income school . Would I be eligible for $17000 or $5000? My question is…Is a Middle School considered a Secondary School or an Elementary School? I think Middle School falls under the Secondary School bracket. Google it and you should be able to find out for certain. Also – check with your school’s HR department. They’re supposed to be fully-informed or all the forgiveness programs, and they will be legally obligated to help you qualify for one! I read that the student loan forgiveness program for teachers has expired. Can you confirm that? I have taught 4th grade at a Texas Title I school for 7 years. This year is my 8th year and it is the first year my school is not considered Title I. I tried to click the link to the form and it did not pull up. Do you have any informtion about the current loan forgivenes options for me? Haven’t heard anything about expiration here? I have been teaching for 14 years in a Title 1 school and I have always taught the ESE/Inclusion classes. This year I have decided to transition to the library where I will serve as the media specialist, but still teach classes of children. I am also going back to earn my degree in Ed Leadership. I am hoping I can apply for the greater amount, but will be satisfied if I only receive the $5,000. However, my biggest question is: When can I apply for the forgiveness? If I take out the loan this year, can I apply right away or do I need to wait a specific amount of time? I have a friend who did this for grad school and did not wait 5 more years because she already had some of her years in. I just wonder if there is a minimum amount we must pay before the forgiveness begins. My understanding has always been that you don’t get the benefit until you complete the five years of service? It’s not about a minimum requirement you have to pay, but it’s based on hitting that five year mark of actually teaching, which then allows you to apply for and receive the $17,500. You may want to reach out to your HR Department to ask if they can help clarify the rules. They should be fully-versed in everything related to these programs, and if they aren’t, they’ll be able to contact someone at the Department of Education for clarification. Thanks for your help. Do you know if you can receive both the TEACH grant and also qualify for the Teacher Loan Forgiveness? Yes, you should be able to qualify for both. As far as I know, there’s no rule that requires accepting only one or the other benefit. Does the 5 year clock really start with the date of the first loan? It says “Any loan for which you are seeking forgiveness must have been made before the end of your five consecutive, complete academic years of qualifying teaching service”. So, it is worth applying for forgiveness if I’ve already taught three years, get the loan for a masters program this fall, and continue to teach two more years? All they can do is say no, right? And if they say no, I can just teach for 3 more years and then apply again, right? Thanks for your advice! Yeah, you didn’t read that requirement properly. It means you have to have taken the loan out BEFORE completing the five year service requirement. That’s it. The Teacher Loan Forgiveness App for stafford loans says it expires 7/31/17. Will that affect my application process? There should be a newer one floating around. Try Googling for the most recent version. I have been at my current middle school for three years. We are not considered low income as of now, but both of our feeder elementary schools are, so I imagine we will be considered low income soon. My question is, if say we become low income for 2019-2020 (two years from now), will my previous years count towards the loan forgiveness, or only those that come after? Good question. I think the technicalities state that only your time while the school is considered low income will count. I don’t necessarily agree with the rules being written that way, but from my interpretation, everything has to pass eligibility in order for you to get the credit. You might want to check with an official at DOE though, or ask your HR Department to look into this for you, because I’m not entirely sure. In section 3 where it says forgiveness amount, do I put the amount I am eligible up to or the amount my loan is currently at? Thank you. Put the amount you’re eligible up to. I am a preschool special education teacher working at a title 1 elementary school. Do you know if this will count? This sounds like it will count, but it can be hard to tell on really specific roles. Contact the Student Loan Ombudsman Group and ask them if you’ll qualify. Google their name for their contact info, and don’t worry, because these guys are Government-backed attorneys who provide legal advise about student loan topics entirely for free. It will cost you nothing, and you have no risk of being scammed or charged. I am in my 5th consecutive year of teaching in a Title 1 School. Do you know if the “5-years” are considered to be academic years or contract years? I know this may be confusting… I am basiclaly trying to figure out when I can submit my forgiveness application. Our last day of this academic year is May 25th, but my contract runs through June 30th. Do you think I would be okay going ahead and submitting my forgiveness application May 25th or do I need to wait until after June 30? Good question here – I am not entirely sure if it’s academic or contract years, so I would check on this with whoever handles HR for your school. They’re supposed to know the rules on these things, and if they aren’t sure, they can investigate them for you. In the top right corner of the application is printed: EXP: July 31, 2017. Is there a more current application? Is it safe to use this application with this date? Try searching Google. It’s possible that there’s a newer version of the form out there now. If you find it, please let me know so I can update my link! I have worked in a low-income school and school district for seven years now, the first two of which were part-time. I am completing my fifth full-time year at the end of this school year. Do I need to wait until the end of the school year to submit my Teacher Loan Forgiveness Application or can I submit it now as I am under contract for the duration of the year? I think you need to wait until the end of the year, but you may want to check with your HR rep, who should know all about this stuff. It’s not always clear exactly how to process things. One other idea is that you could contact whoever is servicing your loans and ask them about their process for handling the paperwork, because in the end, you’ll need their agreement that you satisfied the eligibility conditions. Congratulations! Thank you for the speedy response! I’m so glad I found this page – it also tipped me off that as an Illinois teacher, I can apply to my state as well for loan forgiveness after my federal application is processed. I teach in a very small district, so we don’t have an HR department; I’ll contact my loan service provider to find out instead. Thanks again! You got it Cheryl. Glad I could help, and please feel free to share the info you found here with others! Could you share some more information on what you mean by applying to the state of Illinois? I, too, was told by my loan servicer that no portion of my loan would be forgiven if I owe more than the forgiveness amount at the end of 5 years. That doesn’t sound right to me, at all. 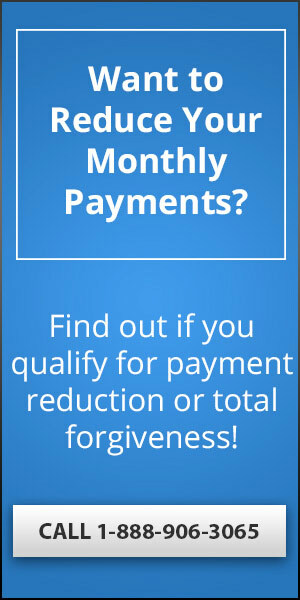 You should still receive forgiveness up to the maximum benefit amount, no matter how much you actually owe. I would verify this with the Student Loan Ombudsman Group. 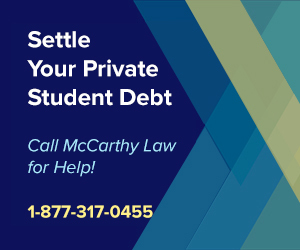 This is a free, Government-backed attorney service that offers advice on complicated student loan-related legal matters. Google their name for their contact info, then give them a call to verify. I hope you are still checking this site and can help me. Here’s my background: I currently owe $6,000 on my student loan. I have a bachelors degree, special ed teacher, low income school, meet all the requirements to receive $17,500. I am in my fourth year of teaching, so I will apply for the loan forgiveness at the end of next year. In the meantime, I’m about to start a fast track masters program, so I will also get my masters a few months after I finish my fifth year of teaching. So, should I pay off my old $6,000 loan before I take out this larger loan for my masters? The $6,000 loan was not taken out before 1998. I spoke to a loan expert who told me that since that loan was after 1998, that I am good to go, and should have both loans (undergrad and grad) forgiven at the end of my fifth year, at least up to $17,500. Since your loan was taken out after 1998 you should be good to go. If you want to find out for CERTAIN, then you should contact whoever is servicing that Undergrad loan, and ask them about the eligibility restrictions. The loan servicers are the ones who sort of have final say over whether or not you get approval. If they roll with it, it’s easy to get your loans forgiven. If they fight it, you’ll be facing an uphill battle. The other group you can reach to for advice is the Student Loan Ombudsman Group. This is a Federally-backed group of attorneys who offer FREE ADVICE related to student loans and student loan debt. Google their name to find their contact information, then call them to ask what they think. These guys are Government-backed, so you can trust the answers they give, and they give advice for free, so you’ve got nothing to lose. My husband is a PE teacher at a a low income school, starting his 5th consecutive year. His licensure is in PE and health but he teaches special education kids. Would he qualify for the 17500? The distinction between special ed and physical education is blurry. Yes, it is pretty blurry, so I would try checking with either the HR person on campus or call the Student Loam Ombudsman Group. The Ombudsman are lawyers who provide free advice about Federal student loans, and you can reach them here. I received Teacher Loan Forgiveness on my undergraduate loan 17 years ago. I took out a new loan to complete my graduate work after the other loan was paid in full. Can I get Teacher Loan Forgiveness on this second loan? I think you may be eligible to get a second forgiveness, but you need to ask whoever services your loans to find out for sure. I was denied Teacher Loan Forgiveness because they said that I did not fill out “Section 3: Previous Loan Forgiveness Information” correctly. I am a 10th year Mathmatics teacher in a Title 1 school. I was awarded $4,725 for one year of service through AmeriCorps. Do you know if the “Loan Holder Name” should be AmeriCorps? When it was denied, I put Pace University (the institution I gave the money to). I think you should contact the Student Loan Ombudsman Group and ask them to provide advice on this. They’re a free service provided by the Federal Government, and they help with LEGAL issues related to Federal student loan debt. They should be able to tell you exactly what you need to do. I have completed 3 years of teaching special education in a low income school. After my 5th year, I should be able to apply for the loan forgiveness correct? What if my student loan is greater than $17,500? Will they still put the $17,500 towards my loan and I’ll continue repaying the remaining balance? I had just seen someone’s post earlier that said they were denied because they had a balance of more than $17,500 and I wanted to know if you’ve heard of this happening to anyone else? Thank you for this blog, it is very helpful and helps answers a lot of questions!! Yes – after the 5th year, you’ll receive the benefit. If your loan is over $17,500, then yes, they apply that much toward forgiveness and you’re responsible for the remainder. You definitely won’t be denied just because your loan is larger than the total amount authorized – you’ll get UP TO that amount forgiven. Whoever told you they were denied for having a larger loan was probably denied for some other reason and didn’t fully understand what happened. I have a question regarding the highly qualified requirements. I was hired as a special education teacher under a provisional license and have since become fully licensed. I have worked for 6 years as a special education teacher in a title 1 school. My question is: Does my 5 year timeline begin when I became fully licensed, or do I not qualify at all for this loan forgiveness? I think your timeline begins when you became fully licensed, but to find out for sure, contact your loan servicer. They will be able to tell you without any doubts. Thank you for putting this info site together. I have read through a majority of the previous questions and answers, However, I am still unsure about a question I have based on my circumstances (I apologize in advance if this was answered and I overlooked it). Background: I have taught Secondary English at a title 1 school for 10 consecutive years (from 2006-2016). I switch schools for the 2016-2017 school year (still title 1), and I am currently finishing up this school year. After 5 years at my precious school, I applied for loan forgiveness and received $5000 towards my substantial student loan debt (both from undergrad and grad). Since I am an English teacher without Special Ed certification, I assumed I was only entitled for $5000 in loan forgiveness for my first 5 consecutive years. However, am I eligible to apply for an additional $5000 for my teaching years 6-10? I believe I read one of your responses that eligible teachers were qualified for up to $17,500 in loan forgiveness for the life of the loan? Does this only apply to Math, Science, and Sped teachers? I know qualified Math, Science, and Sped teachers are eligible for $17,500 in loan forgiveness after 5 consecutive years, but I thought English teachers, for example, could only apply for $5000 after 5 consecutive years? Please advise/clarify, as I would be most appreciative for you help. Thank you! Good question Mary, and thanks for reading the others before firing it off. I wish I could give you a straight answer, but to be honest, I’m not sure. 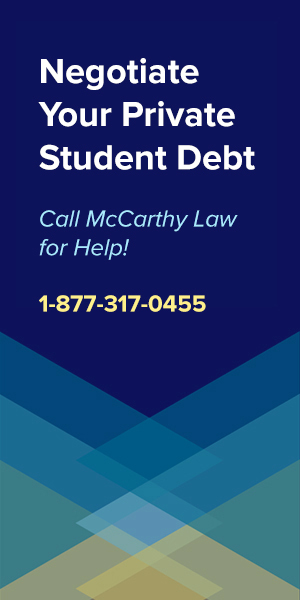 I recommend that you contact the Student Loan Ombudsman Group, which is a free service of pro-bono lawyers that answer complicated student loan and student loan debt related questions. You can contact them here. My husband is a HQT in mathematics and had a loan forgiven for $8000. He is currently pursuing another masters. Can he apply again when he is finished for an additional $9500 to cap out Teacher Loan Forgiveness or is he out of luck? I’m not sure. I’ve received this comment several times now and I’m certain that you can’t use the benefit twice for the same loan, but I don’t know if you could receive it twice for two separate loans. I do not think it would work, because of the way the rules are stated: “Up to… in forgiveness”. First off thank you for this blog. I have searched everywhere for answers. I am confused about what to apply for since I have had multiple teaching areas which i am highly qualified for and have taught at multiple schools here is my situation. So my question is do I apply for the 17500 if I haven’t been teaching special education for 5 years or just the 5,000. It only allows you to check one box on each form. I am assuming that I will need to get both schools to sign as sped. Any thoughts. 1. Contact the Federal Student Loan Ombudsman Group. This is a FREE service that helps people figure out complicated legal issues related to Federal student loans. I don’t want to comment on your particular history since it’s quite complicated, and I wouldn’t want to steer you the wrong direction. Call the Ombudsman Group and they’ll help you unravel what you actually qualify for. You can reach them here. 2. If the Ombudsman can’t help (they should be able to…), or if you want to pay someone to figure things out for you, and deal with all the paperwork, then call the Federal Student Loan Relief Helpline, which is a PAID, FOR-PROFIT service that you will have to pay to get the work done, but who will handle everything on your behalf. You can reach them by calling 1-888-906-3065. Thank you for your post and site – it has been very helpful! On a related topic, my wife has been approved and granted the $5k in federal teacher student loan forgiveness. 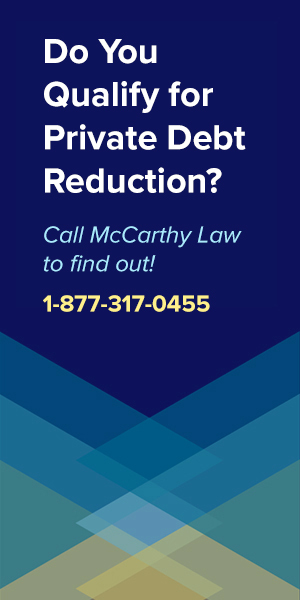 In Illinois, you’re also eligible for a matching forgiveness once the federal funds are granted, however, this is a first come first serve program. Are you aware if you can reapply for state teacher student loan forgiveness in subsequent years if not accepted with your initial application? If your application is turned down because the funds have already run dry, then yes, you will be able to apply for the benefits again the following year. Thanks for the kind words! While I used to be a highly qualified English teacher at a qualifying second day school…for the last 6 years I have been working on a teachers contract as an instructional coach…which seems to disqualify me. Is there anything a person in my position can do? Teacher contract…though not a teacher…in a qualifying school. You may still qualify… have you spoken to your loan servicer about it? Call whoever handles your payments and tell them what’s going on. You may be pleasantly surprised. Also – consider contacting the Student Loan Ombudsman Group to have them look into it for you. 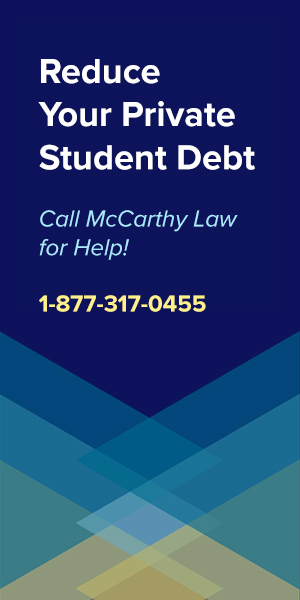 This is a free service provided by the Federal Government (NOT a lead gen company or consolidation company), and they can advocate on your behalf for legal-related student loan problems. I worked at a school for 7 years as a Special Ed teacher, the first 3 years the school didn’t qualify under the program and the final 4 it did. I was then moved to a school that doesn’t qualify. The loan servicer has denied the request saying the 5 years wasn’t met because the I only worked 4 years at the school total (3 after the first qualifying year). Claiming my prior time at the school doesn’t count, which is funny since If the school only qualified the first year and then didn’t the remaining 4 years, I would qualify. I have not, but I think you need to press them on it because it sounds like a ridiculous excuse. 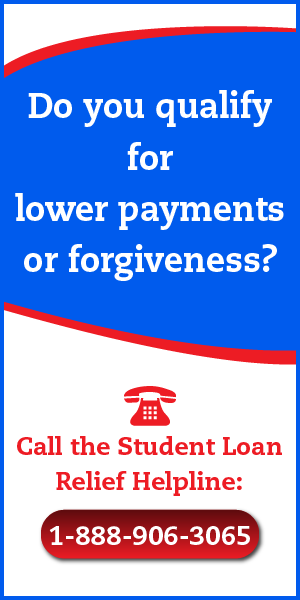 Contact the Student Loan Ombudsman Group to ask for their assistance. This is a free, Government-provided legal advisory service who may be able to advocate on your behalf. They’re attorneys, and when they call your loan servicer (if you can get them to), the servicer will not be able to stonewall them. I am glad that I found your blog and am hoping that you can help me figure out whether or not I will be eligible for student loan forgiveness. Reading some of the comments on this website has made me nervous! I am a Special Education teacher in my 4th year of teaching at a Title 1 school in NYC. I participated in the NYC Teaching Fellows program, so I suppose that I was under a “provisional” license for my first two years while I was working on my Masters degree. I believe that I should be eligible for the loan forgiveness, except for two things. One, I was offered (and accepted) a Segal Americorps Education award of $5,500 after my first year of teaching, and I applied that towards my student loan repayment. I did not realize until later that there is something on the requirement list for Teacher Loan Forgiveness about not being able to use a year where you received Americorps assistance towards Teacher Loan Forgiveness. Two, I recently consolidated my loans (I wish I hadn’t now, but they were pushy and I hadn’t done enough research). Does this disqualify me from this program? I am ready to leave teaching for a variety of reasons, but am willing to stay for another year or so if it means receiving $17,500 in loan forgiveness. However, if I am disqualified already, I would like to know so I can move onto something else and not wait around to be disappointed! I hope that you can help me answer these questions. Thank you for your time. Unfortunately, I think you’re going to be disqualified from the program because you’ve consolidated your loans. If you consolidated them with private debt, then you’ll absolutely have lost your eligibility. I would recommend that you speak with your loan servicer to ask them whether or not you’re still eligible. I am currently an associate principal at a qualifying elementary school. Would I be eligible to receive loan forgiveness? If not through this program, do you know of any other programs I could try? If I were you, I’d contact whoever services your loan and ask them. They are the only people who can tell you with any certainty what you do or do not qualify for. I can steer you in a direction, but I have no real authority. I was attempting to apply for the loan forgiveness, I have been working for 5 years at an eligible school. The problem is that in my area special education services are contracted through private agencies. I am therefore technically an employee of the agency, not the school. While I have been at the same school for all 5 years, the agencies have switched in the middle. Therefore, each agency does not want to sign for me because I have not been their employee for 5 years. The school administration is also reluctant to sign because they inferred from the language of the application that the applicant must be an employee of the school. Is this accurate, or can the school certify my employment regardless of my being employed by an outside company? What I’d do first is get in touch with the Student Loan Ombudsman Group and see if they think you’ve got a shot at having this approved. They are a free organization that helps with legal questions about student loan debt, and I think they could advocate on your behalf, or at least let you know whether or not you should hire an attorney to fight this indecisiveness. I taught Math at the secondary level for 3.5 years at schools that are on the list as qualifying institutions for the teacher forgiveness program and then began teaching at the Department of Defense Education agency also at the secondary level for the next 2 years. Would I qualify for the teacher forgiveness program? It certainly sounds like it! I would contact whoever services your loan and ask them for the required paperwork to submit your application. It’s definitely worth attempting, because the benefits are excellent. Thank you for taking the time to answer these questions. I have currently taught for 4 school years at the same title one elementary. I will be teaching at same title one school this coming school year, I’m just trying to put my ducks in a row to be ready to apply next year. I know I will be eligible, however I taught gen Ed for the first 3 years and will have taught sped the last 2 years of the five. However I have been certified as a sped teacher since 2010. Would I be able to recieve the $17,500 even though I didn’t teach sped for the whole 5 years, or only the $5,000 despite teaching sped for 2 years? I would love to give you a firm “yes” or “no” answer, but unfortunately, my thoughts are more like “maybe”. Talk to whoever handles HR at your school and ask them what you’ll qualify for. If they can’t give you an answer, then contact your loan servicer and ask them. At the end of the day, everything has to be approved by whoever services your loan, so they basically have final say. I THINK you’ll be able to qualify for the total forgiveness benefit, but I’m not entirely certain. My first 2 years teaching I was at a title 1 school. However, I was moved to another school in the district that is not considered title 1 and have been teaching here for 3 years. I read that if your school is title 1 and then stops being title 1 you can still qualify. Is this correct? Also, my current school receives title 1 funding for special education. Is that good enough? The school is not listed on the boe database, but I have found other sites that list it as receiving title 1 money. Confusing huh? I know I’m suppose to talk to a doe loan officer, but what are your thoughts? Thank you so much for your help. I love that this page exists! Please contact your school’s HR Department and ask them the same question you’ve asked here. If they don’t know the answer, then you’re going to need to speak with whoever services your loan to find out what your options are. The sad thing about all these benefits programs is that the true power lies in the hands of whoever owns your debt, and that you’ll need to convince them (at the end of the day), that your service qualifies for the benefit. On the bright side, they are heavily regulated now, and do not get away with offering misleading information, or turning people down for benefits once they’ve satisfied the eligibility conditions. The whole industry is way cleaner than it was in the past, and it’s making things much easier for people to receive the benefits that they have EARNED. If you start having problems with the loan servicer, get in touch with the Student Loan Ombudsman Group, who will be able to help you sort out all the legal issues and who will actively lobby on your behalf… all FOR FREE! Good luck! And thanks so much for the kind words. I really appreciate the positive input. Hi and thanks for the great resource. I earned my bachelor’s degree in Education. I taught for five consecutive years at a BIA school in Special Education. My loan was completely forgiven. I borrowed only 4,000 of the 17,500. Is this a one time offer? Or do I have 13,500 left on the account to borrow for future educational endeavors? Do i qualify for a new 17,500 and begin this process all over for a masters degree? Can i earn the masters degree of my choosing or does it have to be related to my Special Education teaching? If i work as a IEP Specialist, a non-teching position, can I qualify for complete loan forgiveness if serving at a low-income school being that it is serving students with disabilities? I think you would be able to qualify for additional forgiveness benefits on a completely separate loan (like the Masters Degree that you mentioned). I believe you could get a degree in any subject, as long as your job keeps you eligible to receive the benefits. You will need to speak with your HR department or your loan servicer about the final question, and I would run the other two questions by them as well. At the end of the day, you only get forgiveness if the loan servicer agrees to it, so don’t make any decisions without talking to them first. Hi I previously applied and received the $17,500 max award while teaching as an exceptional Ed teacher. I am now a first grade teacher and have been for 3 years. When I get to my 5th year teaching 1st grade, can I reapply for the 5,000 loan? You won’t be able to use the program to receive loan forgiveness for the same loan twice. The rules clearly state that you can qualify for “up to $17,500”, meaning… not $17,500 x 2. You may be able to get the award twice if you had two separate loans to pay off, but I would check with an attorney before considering that a viable option. I’ve been a bit confused on the wording. I just completed my masters and have about $20,000 in student loans. I am currently completing my 4th year of teaching math (3 in this school, 1 in previous school-both low income title 1 and as a highly qualified mathematics teacher). Do I have just one more year of teaching before I can apply for loan forgiveness or do I need to do 5 more years like the MO TEACH Grant requires because it doesn’t include years before the program is complete? The clock 5 year clock starts ticking after your last loan is disbursed, and when you begin teaching in a qualified role (as a “highly qualified teacher”). So… when did you take out your loans? That’s when your teaching experience begins. Any time spent teaching BEFORE the final disbursement of the loan will not count toward your 5 required years. Do you know if this applies to Grad loans? For example, I have been teaching for 10 years and CT requires teachers get their masters. I got mine and became a certified BCBA an started teaching Special Ed after I received my Masters. My school is on the list. If I complete 5 years as a special ed teacher, can I get my grad loan forgiven? Yes, Stafford Loan Forgiveness benefits cover both Undergraduate and Graduate program expenses. You should be fine. What happens if I refinanced my loan? AM I still eligible? I refinanced with citizens bank. Unfortunately, most cases of refinancing and consolidating loans destroys their eligibility for federal benefits. You’ll need to contact whoever services your loan to find out for certain. I received $5000.00 toward loan repayment a few years ago. However, I thought there was some information that I read somewhere that stated after 10 years, I could apply for total forgiveness or cancellation. I have not been able to find that information recently. Do you have any information about that? You haven’t provided nearly enough info to figure out what you are referring to. It’s possible to get loan forgiveness on a Federal student loan after making 10 years of payments, via the Public Service Loan Forgiveness Program, but I don’t know if you would qualify for it or not. Are school counselors eligible for this program? I work in a K-8 school setting. Did you read the eligibility guidelines in the post? It’s all stated very clearly there. You need to go through each component of the process and determine whether or not you satisfy the requirements. I can’t figure it out for you. Is there any way to expedite student loan forgiveness, or even a full cancellation of loans for cancer survivors? I’m a former NCAA Division 2 athlete. I failed a NCAA administered drug test to find out I had a rare form of testicular cancer, primarily forming in the thoracic cavity. Between student loan repayments and past medical bills, finances are a complete headache. After surviving, I played in 15 games my junior and senior years, completing my degree in education. I now teach and coach. Is there any way to gain a way of forgiveness or cancellation of loans for cancer survivors? If you, or anyone else, can help or direct me to some resources, that would be most helpful. Not that I am aware of, but there may be scholarships or grant opportunities. Google would be your best avenue in looking for those. The only way to get any form of immediate student loan forgiveness is to qualify under the guidelines of the Total and Permanent Disability Discharge program. Contact whoever services your loan and ask them. I received $5000 forgiveness for being at a Title 1 school over 5 years ago. I am still at that school, teaching same subject. Still highly qualified. Can I apply again. Did you qualify for Stafford Loan Forgiveness or Perkins Loan Forgiveness? The $5,000 number is throwing me off, because Stafford Loan Forgiveness offers up to $17,500 in forgiveness benefits lifetime. If you only received $5,000, and under the Stafford program, then you may be eligible for more. Perhaps your debt wasn’t that big to begin with? I’m not sure what’s going on, but the numbers aren’t adding up right to me. You should have your daughter speak with the HR people at her school to find out whether or not she qualifies. They should be able to comment on it. If they can’t, contact whoever services her loan and ask them for details. I just found your site, and I love it! Thank you for providing this resource. Would I be able to submit more than one application for forgiveness at a time? For example, send one application for my undergraduate loan, and send another application for my graduate loan. Thanks for your time! You’re welcome! I do think you could apply for both, but you should check with whoever services your loan before you decide how to proceed. I have a few questions hopefully you can answer. My stafford loan was taken over by Mohela a few years ago, would I still qualify for the Stafford Loan Forgiveness? I’m unsure if I’m considered a highly qualified teacher. I teach Kindergarten in a title 1 low income school. Is the test for highly qualified teachers something else that needs to be taken? Or does an endorsement in reading and social studies for K-8 qualify me as a highly qualified teacher? I’m trying to decide if it is worth it to teach in a low income school for 2 more years, I’ve already but in 3, but I’m worried I won’t qualify for any programs that will help me with my loan forgiveness. Did you read the section about what it means to be a Highly Qualified Teacher? It’s all spelled out in this article. If you’re still unclear after you’ve reviewed the full content of the article, then consider calling the Student Loan Debt Relief Helpline to provide them with your details and find out which benefits you may qualify for. You can reach them at 1-888-694-8235. My husband has taught math for five years in a high school that has been listed in the low income school list in each of those five years. However, his school district refuses to certify his student loan forgiveness application because his school is not a “Title I School”. is it possible for a school to be listed in the low income directory and not technically be a Title I school? If so, why does the certification section ask the school district to certify five years of teaching at a Title I school? Any school that is eligible for and accepts funds under any programs authorized by Title I of NCLB is a “Title I school” for purposes of the parental choice provisions of the law. Schools may receive grants to support targeted services for specific children or school-wide programs that include all children in the school. Parents can determine if their child’s school is a “Title I school” by searching the Public Schools database supplied by the National Center for Education Statistics. I would recommend that you or your husband get in touch with someone from the Department of Education, and find out if the school SHOULD BE classified as a Title 1. I have a little different of a situation here. My wife has been teaching special Ed for 10 years at the same school, she has one masters and just started her second. We werent planning on taking out a loan but after realizing she may qualify for the teacher loan forgiveness program, we are reconsidering. My question is if she would qualify. She teaches special ed, classroom setting, at a school that was on the low income list for 2014-2015. Once shes done with this program in 2+ years, would she be eligible for up to $17,500 in forgiveness? Is the issue that she has taught for more than 5 years already? I can’t get the answers I am looking for anywhere. I would consult with whoever is servicing your existing loans and ask them whether or not she’s going to qualify. I’d also try contacting one of the private companies that handles Federal Student Loans, like the Student Loan Relief Helpline (who you can reach at 1-888-694-8235 and asking them whether or not this would work in advance. I’m pretty sure I applied for this 6 years ago and was given $5000 in forgiveness. If so, if I worked another 5 years in a different qualifying situation can I apply for another $5000? The form asks if you have applied before. I can’t find where I had $5000 applied to my loan before OR anything that says if I can apply again. Contact whoever services your loan and request them for paperwork showing that you received an initial $5,000 forgiveness benefit. If they can’t produce it, and have no record of the award having been applied to your account, then you should be good to go. You are not supposed to be able to use Stafford Loan Forgiveness twice for the same debt (same loan), so if you’ve already applied it once, you’ll be out of luck. But if there’s no record of you having received the benefit before, you’re fine, and if this is an entirely different loan (say a Master’s Loan compared to a Bachelor’s Loan), then I think you’ll be fine there too. My wife had an undergraduate loan that was rolled into her 2006 loan. We applied for the Teacher Loan Forgiveness program and were denied because of the loan rollover. Is there a way to appeal and only ask for loan forgiveness on her master’s degree loan which allowed her to teach. Unfortunately, I don’t think you’ll be able to work this out – assuming that by “rolled into” you mean consolidated? Consolidation risks sacrificing many of the benefits offered by specific Federal student loan programs (Stafford Forgiveness, Perkins Forgiveness, etc.). If you want to press the issue, however, and it’s probably worth doing just that, then contact the Federal Student Loan Ombudsman Group and request that they review her file to let you know how best to proceed. You can reach them here. I have a question about if I will qualify. I have a Certified k-12 teachers with a Masters plus continuing hours and taught elementary PE in a qualified low income district for 4 years before taking a new job as a secondary teacher. This is my 2nd year teaching at school but my 6th year teaching PE at a qualified low income school. Any suggestions? 1. Contact your school’s HR Department and ask them to sort out the regulations for you. They should be able to help. 2. Contact whoever services your loan and ask them what you qualify for. They’re supposed to tell you the truth (but don’t trust what they say if they turn you down – definitely seek out a 2nd opinion). Is this form the only thing that needs to be turned in? I don’t need copies of contracts or anything of the like? I just want to make sure before I try to send this to the loan distributor. Yes, you’ve got it. All they’re really looking for is the statement from someone up your chain of command certifying that you satisfy the conditions of the employment requirements. That’s the most important part, because it verifies that you satisfy the conditions of the Stafford loan forgiveness program. Your loan servicer will verify everything too. They don’t like giving forgiveness benefits out, so sometimes they do try to put up a fight and prevent people from getting what they deserve, but in the end they have no choice as long as you follow the protocol. Awesome! Well, I am in my sixth year and I am a special education teacher and have taught the years consecutively in a Title I school listed on that list they have provided, so I don’t see any reason they wouldn’t unless they bring up the provisional license issue like I saw someone else post. So, hoping for the best! I was wondering if the loan forgiveness also applies to sixth year degrees in education. I just received my Master’s in Elementary Education through an accelerated teacher certification program. The program consisted of an internship, too. For this, I did not have to take out a loan because my tuition was paid for by the school that I interned at. I was already hired to teach at a Title 1 school. I definitely plan on going back to school for my sixth year in education. I know that a sixth year is not required of teachers, but a Master’s is (at least in Connecticut, where I will teach). So, does the loan forgiveness have a “cap” on the level of degree? In other words, if I take out a loan for a sixth year degree, will I qualify for the loan forgiveness? 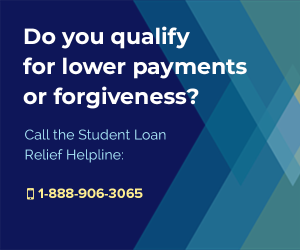 Forgiveness can be applied to an Undergraduate or a Graduate degree, so I think you will be ok. To make sure, check with your loan servicer in advance. At the end of the day, they are the ones you will have to convince that you’re playing by the rules. Hello…I hope you can help me. My husband is a Special Ed teacher and starting teaching in 1998. He has taught in several low imcome schoold and Special Ed has always been an in need area We applied for the loan forgiveness program and was declined based on dates of his loans. The only think I can think of he has some undergrad loans prior to 1998 then his Special Ed Masters is the majority or his debt that was taken out in 1999-2001. Well we consolidated his loans years ago so they are all lumped together. Is there a way to separate the loans or apply based on the loans after 1998? They are not helpful when we called asking questiond. Thank you. Unfortunately, the Federal loan consolidation process is a one-way street, and there is no way to undo lumping those loans together. I am almost certain that this is why your husband’s request was denied, and I’m sorry to be the bearer of bad news, but you are unlikely to be able to take advantage of this program. However, when President Obama updates the Pay As You Earn Repayment Plan to allow everyone (regardless of when they took out their loans) to enroll in it, your husband should be able to take advantage of that. This change is set to come some time soon (supposedly by later this year), so be on the lookout for that opportunity. First, let me preface this by saying I meet all the requirements as a special education teacher for the $17,500 loan forgiveness (5 years experience, title I school, etc). I have loans with two servicers: one for about $12,600 and about $5,100 with the other servicer, putting my total balance owed over the $17,500 which will be forgiven. I sent two separate applications for loan forgiveness, one to each servicer, and both servicers notified me the applications have been sent to the Department of Education (supposedly it takes a few months for a final decision from the DoE). I applied and was granted forebarance with both servicers. My question is: Should I continue to make payments to account for the interest that is still accruing on both loans while I wait for a final decision on loan forgiveness? It seems like the obvious answer here is “yes”, but I don’t want to do anything to screw up the final decision process. What if I made payments and the total loan balance was under $17,500 when the DoE makes the final approval? Basically, I want to make sure I’m still approved for the maximum amount of loan forgiveness and owe as little remaining on the balance with interest as possible. Any help/guidance would be appreciated! Yes! Make sure that you do keep making interest payments until you are informed that you can stop paying them. If you quit making them, you’d end up owing more money down the line, EVEN IF your application is approved. Never, never stop paying your debt until you’ve received official confirmation that your application is approved and the funds have been released/spent on your behalf. Doing so could land you in financial hot water! Thanks for creating this site! It’s full of so much useful information. I recently graduated and have planned to satisfy this loan forgiveness program within the next 7 years. I’m starting at a middle school, that does not qualify, but will be attempting to move to a high school that DOES qualify after 2 years. Once at that school, I will teach for 5 years as a highly qualified mathematics teacher. I understand that fulfills the requirements to have up to $17,500 of my loans forgiven, but I ALSO have a TEACH Grant that will be satisfied by 4 of those 5 years at the high school. So my question is, will I be able to take care of both the TEACH Grant and have my loans forgiven? Yes! Working at a qualifying school for 5 years as a highly qualified math teacher will get you the $17,500 credit. To your question about using the same service obligation for both a TEACH Grant AND Teacher Loan Forgiveness (Stafford Loan Forgiveness) – I am not 100% sure on whether or not you’ll be able to use the same time as a form of “double dipping” and satisfying both conditions. Although you agree to a service obligation for each TEACH-Grant-eligible program, your teaching service may apply to more than one service obligation. For instance, if you received a TEACH Grant for your undergraduate program and then for your graduate program, you would have two service obligations, but your four years of teaching would fulfill both service obligations at once. If the TEACH Grant Program allows you to satisfy TWO separate TEACH Grants with the same service obligation, then my thinking is that you could use the same service obligation for a TEACH Grant AND your Stafford Loan Forgiveness at the same time. I’m not 100% certain on this though. If I were you, I would contact whoever is servicing your loan and ask them. They’re going to be the people you have to deal with when it comes time to applying for Forgiveness anyway, so it’s really up to them! When you find out – please do come back and update me. I want to be able to answer this question accurately for anyone else who has the same thought. I am a highly-qualified secondary science teacher and I just finished my 5th consecutive year at a title one school (2010-2015). My undergrad is paid off but I started my masters this summer for which I am taking out unsubsidized loans. I feel I am getting hung up on the following requirement and and need clarification, “The loan(s) for which you are seeking forgiveness must have been made before the end of your five academic years of qualifying teaching service.” Am I not eligible since I have already taught at a title one school for 5 years or now that I have taken out loans I have to teach five more consecutive years at a title one school to be eligible. I have made several phone calls and most say that the most important things are that you have taught at a title one school for five years and that your highly qualified but could not give a good answer on the above requirement. The way this would apply to your situation is that you’d need to restart a 5 year service commitment AFTER the date that your new loan was issued. You can’t use retroactive time spent in teaching to pay for a loan that you’re taking out in the future. You’ll still be able to qualify for the program, you’ll just need to teach for another five years AFTER borrowing the money in order to get approved for the benefit. Make sense? Sorry that they’re structured things this way – I wish you were able to use your previous 5 years of teaching to qualify, but unfortunately that’s not how the system works. I taught 1st & 2nd grades from 2007-2012 at a Title I elementary school. At the beginning of the 2012-2013 school year I was surplused to a non-Title I school, after the 10 day count. I am sent my loan forgiveness application to the district HR so they could sign the administrator portion. Today I received an email from them saying they wanted me to submit an application for the non-Title I school I worked at, during my 6th year. Is there some reason they need this to sign my paperwork?? Let me know what you find out when you hear back from them. I’m curious to find out where this goes. Good luck! I read under the highly qualified section that all special education teachers whether they meet the highly qualified standards mentioned qualify for loan forgiveness. Does this mean that special education teachers don’t need a professional certificate? I ask because I have recently applied for the program. I have taught special education for 6 years but the first year I was on a provisional liscense. The following 5 I had a professional liscense but because the department of education was slow to issue my certificate it wasn’t issued until October. I’m scared that my 5 consecutive years will be cut short 2 months because the state didn’t issue my certificate in a timely manner. According to my understanding of the rules, you will be fine. ALL special education teachers (with or without the certificate) should be eligible for the benefits. I am currently an ESL facilitator at a Title I school and recently completed my 6th consecutive year. My application was denied because in my position, I work with both students and teacher during business hours therefore am not considered a full-time teacher for the purpose of loan forgiveness. Is there anything I can do? My school district considers my position a teaching position and I have read nothing that states that working with both teachers and students makes you ineligible. Honestly, that doesn’t sound right to me. My advice to you is to reach out to the Student Loan Ombudsman Group and request that they review the circumstances to determine how you should proceed here. You can reach them here. I received $17,500 in loan forgiveness a couple of years ago. Can I apply a second time? I don’t believe it’s possible to qualify for the Stafford Forgiveness benefit twice, because I’m pretty sure that the rules say the $17,500 is a lifetime limit. You could try… but I don’t think it would work. Kelsey- let me know what you find out! I am in a similar situation and Student Resource USA told me to apply for the $17,500. I will check back to see what you hear! I will do the same as well for you! I saw one of the threads mention a similar situation I am in right now. My application was denied by Nelnet, my loan servicer. I taught from 2008- 2013 and then went back to grad school to get my Masters. They said I was denied because my five completed years were not “with a professional license”. I spoke to a customer service representative also to explain I was teaching secondary mathematics throughout those 5 years and employed full time. They said since I held a probationary certificate the first 2 years I was not “fully certified” and the academic years 2008-2010 do not count. I have read the fine print as well on the loan forgiveness application and I don’t see where it mentions that the five years of teaching need to be with a professional license. I went through the alternative certification program. Does my probationary certificate eliminate my firs 2 years and do I not qualify for the teacher loan forgiveness? Is there anything I can do to prove I was “highly qualified”? I do believe you need a professional license for each year of teaching in order to qualify for the teacher loan forgiveness program, but you should take this issue up with the Student Loan Ombudsman Group to get a 100% clear answer on how to proceed. 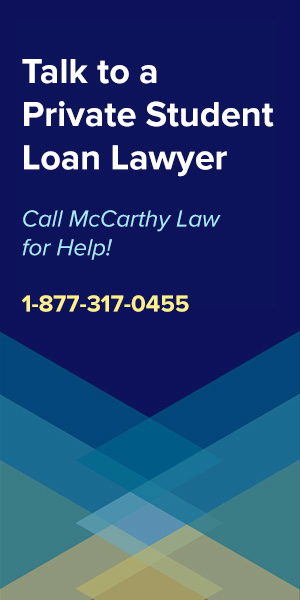 They are a group of attorneys who offer free advice for handling complicated student loan-related legal matters, and I think they could give you a clear answer on this situation. You can reach them by visiting this page. I just wanted to give a update, my loans will be forgiven! I’d also like to share the process I went through. 2.) I was able to get a contact from the Texas Education Agency and they explained how a probationary certificate is treated in regards to federal regulation. The U.S. Department of Education (USDE) approved Texas’ revised highly qualified plan, an action that not only extended the deadline to meet highly qualified requirements to the end of the 2006-07 school year, but gave secondary experienced teachers who have been determined to be “highly qualified”. In the NCLB Highly Qualified Document a degreed individual who holds a probationary certificate, and is participating in an acceptable alternate route to certification program, including Special Education programs, may be considered “fully certified” under the “highly qualified” requirements. This coincides with the NCLB § 200.56 guideline. It took a long time to prove and numerous rejections but I was finally able to get the correct contact. Thanks again, your page gave great insight. I was about to give up but it is always good to dig for more information. I had applied 2 years ago. I was denied 4 different times for 4 different reasons. Each time I called the person agreed that I had all the requirements. I am about to put in my application AGAIN since now I will have been 5 years at 1 Title 1 school, teaching elementary children with autism. Has anyone actually ever received this money as I am so frustrated! It has been over a year of fighting with them I’m starting to thing its a scam. Yes, people definitely do receive Stafford Loan Forgiveness Benefits. What was the reason you’ve been getting denied? If you’re not getting anywhere, but are sure that you qualify for the program, then please contact the Student Loan Ombudsman Group. 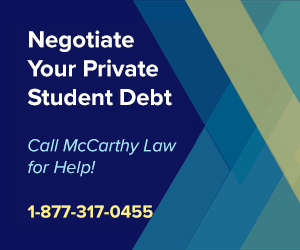 This is a group of attorneys who offer legal assistance to people struggling with student loan-related problems. If your rights are being denied by your lender, you may need to them to pursue legal action on your behalf. You’ll find the Student Loan Ombudsman Group here. I am about to apply for loan forgiveness as I am finishing up my 5th year teaching in a title 1 middle school. My question is about what I am eligible to apply for. I currently teach one math class and five language arts classes during the school day, one of which is a co-taught class with students with IEPs. Many of my colleagues believe I could qualify for the $17,500. I am certified math, but I teach more language arts than math classes. What do you think I am eligible for? I know of some teachers who are not certified special education teachers but who teach students with IEPs that have been given the $17,500. I don’t know how that works. Thanks in advance! I think you may be able to qualify for the full $17,500, too, but unfortunately, my opinion doesn’t really count. The only way to find out for sure will be to apply and see what you get approved for. I would go ahead and apply ASAP, then see how they respond. It is conceivable that you have special needs students on your roster and you , in partnership with your sped teacher, serve these students in a co-taught class. However, you aren’t certified to service special needs students by certification. In regards to your situation about teaching middle school – I believe the check box is “elementary school” or “high school” in which case you teach elementary school. If there is a content area that needs to be identified, then I would refer to what the school reports about what you teach as defensible evidence. For me, I looked at the ISBE certification webpage (illinois state board of education). Overall, your school district or administrator must certify your experience to get you the $$$. That’s the bottom line. I’ve had waited many hours on the phone for a representatives and am speaking from personal experience. I have been granted the $17.5K and looking to see if I can apply again as the wording does not exclude another 5 year term. Thank you for your input Rose! I am finishing my fifth year of teaching and would love to apply to this program. I work at the one school in my district however that is not title 1. Can I still apply if my district qualifies? The literature I have seen so far is confusing. I agree that it’s confusing, and especially the rules about this specific tenet of the program. From the way I interpret it, yes, you should still apply anyway because it’s possible you’ll be able to receive Stafford Loan Forgiveness Benefits due to the district qualifying for Title 1. Also, it’s possible to suggest that your school be added to the Title 1 list as well, which is something you might want to consider doing. Department of Education doesn’t always have a perfect list, and they literally invite you to make suggestions for incorporating new schools into their roster. You can do that by contacting the representative for your state from this list. I received $17,500 in teacher loan forgiveness, which I applied to my master’s degree. I am wondering if I can apply again towards to my bachelor’s degree. Is there any rule about applying twice and receiving it twice? I’ve never run into this question before, but I think the answer is “no”. Reason I say no is that the program says in all of it’s explanations that it allows you to be eligible for “up to” $17,500 in forgiveness. My reading of that rule would mean that once you’ve hit that cap, it’s no longer possible to get any more money from Teacher Loan Forgiveness. However, stranger things have happened, and perhaps you could double-dip. Please let me know what you find out when you get an answer from them! I would love to be able to update my page with more accurate information, as I am sure this question will come up again at some point in the future. I’ll keep my fingers crossed for you! Good luck! I am a certified high school math teacher who qualified and received the $17,500 for loan repayment. Where did you read about this additional $5,000? And there are a few State-Funded Student Loan Forgiveness Programs available in 2015, but you’re going to need to head to Google for details on them. I haven’t finished building that part of my site out yet. I’m currently a 27 year experienced teacher at a public high school that falls into the qualifications above. I’m retiring at the conclusion of this school year to pursue another profession as a funeral director can I qualify for this loan or do you have to be currently teaching in order to qualify? I don’t think you will qualify for this program, because it was intended to help people with loans originating after October 1st, 1998. See the first line of the eligibility requirements for details, but I think that will preclude you from being able to leverage the benefit. My advice would be to contact the Federal Student Aid Information Center for verification. You can reach them by phone here: (800) 4 FED AID [800-433-3243], or via email here: studentaid@ed.gov. I taught mathematics (highly qualified) my first year of teaching back in 2004-2005 at an eligible Title I school. Let’s refer to this as “School 1”. I then changed districts to a school that was NOT listed as an eligible Title I school and have been teaching science (highly qualified) there from 2005 to PRESENT. Let’s refer to this as “School 2”. I recently realized that School 2 was listed as an eligible Title I school for the 2013-2014 and 2014-2015 school years. 1. Does the 1 year I taught at School 1 in 2004-2005 count towards the five year requirement? 2. Do any of the school years at School 2 count towards the 5 consecutive year requirement besides 2013-2014 and 2014-2015? 3. When will I be able to apply for the teacher loan forgiveness? 4. I know that School 2 has been receiving Title I funds before the 2013-2014 school year, yet it wasn’t listed in the directory in prior years. Is there any way to be granted credit for those years if it can be proved that this school received Title I funds? Good questions! Frankly, I’m not sure how to answer these, and you will need to contact someone at the Department of Education to get a solid answer, because they are the ones who get to interpret all the rules. Possibly. The rules say that you must be employed full-time for five complete and consecutive academic years… they don’t say that the qualifying years of service must all occur consecutively. I don’t think so, but possibly. As far as I understand the rules, only years taught while the school was eligible as a Title 1 School, or AFTER the school lost it’s Title 1 status, will count. Once you’ve satisfied the requirement of completing five qualifying years of service. This depends on the answers to Question 1 and 2 though, obviously, and you’ll need to verify with someone from DOE. You’ll have to ask someone at DOE. I’m not sure, but it’s possible. Wish I could be of better use here, but we’ve entered very muddy waters and I don’t want to steer you the wrong direction. You can reach the Federal Student Aid Information Center by calling them here: (800) 4 FED AID [800-433-3243]. I regret that I am very late in researching the loan forgiveness programs. I worked in low income schools for 3 years post graduation, left the education setting to work in a private mental health setting for several years, and returned to the schools about 2 years ago. I understand that the 3 previous, consecutive years spent working in the school setting are voided and am wondering if the forgiveness clock restarts upon returning to the schools? Did I miss the opportunity or can apply for forgiveness once I’ve spent 5 consecutive years back in the school setting? You didn’t “blow it” – you can still qualify for Stafford Forgiveness even many years after you graduated, and after having left the profession and come back into it. As long as you satisfy the eligibility conditions of the program, once you’ve completed 5 consecutive years at a qualifying position, you’ll be able to receive forgiveness benefits. I recently submitted a request for Teacher Forgiveness and WAS deemed eligible, but told I could not have my loans 100% forgiven because I did not owe enough money. I am a highly qualified mathematics teacher in a Title 1 school, all of that information has been confirmed, but loan company is telling me I can only have $5,000 forgiven because I have to owe more than the forgiveness amount. Everything I am reading tells me the opposite, that I have to owe LESS than the forgiveness amount to qualify. Is that accurate? From what I am reading it says UP to $17,500, which would make me think $7,000 would be completely 100% forgiven. They are making me resubmit my application as a “regular secondary teacher” and not as a math teacher (which is what I am) so I can qualify for the $5,000. Just wanted to double check that this is correct as both people I talked to didn’t seem so sure. Thanks! I think you’re right and that you should have the FULL amount forgiven. DO NOT resubmit as a “regular secondary teacher”. Instead, contact the Student Loan Ombudsman Group and verify this information with them. The Ombudsman Group works like a legal representative to ensure that your rights are protected, and can give you advice on how best to proceed. Their phone number is 1-877-557-2575. Please let me know what you find out! I think your lender has this completely backwards, and it would be great if we could verify that so that anyone else who faces the same situation knows what to do. I am currently in my 4th year of teaching and trying to get my ducks in a row so I can pursue loan forgiveness. I think I have a firm grasp on all of the requirements except for the “highly qualified” part. Is highly qualified in reference to the evaluation done by my administrators? Meaning, if I am rated as “effective” and not highly qualified, then I will not qualify for any loan forgiveness. If you could shed any light on this that would be a huge help. Thanks for stopping by and thank you for your service! For the Highly Qualified part, check out the section of this post called “What is a Highly Qualified Teacher?” which details exactly what that means. It’s a bit complicated so I’m not going to write it all out again here, but it’s not that tough to satisfy those conditions. Take a look and you’ll see what I mean. My application was recently denied by Nelnet, my loan servicer. I am in my sixth year of teaching special education. They say that it was denied because my five completed years were not “with a professional license”. I spoke to a customer service rep to explain – in Ohio, all teachers start with a provisional license. I still was employed full time and had passed the Praxis. But it wasn’t until my second year that I was teaching under a “professional license”. Has anyone else come up against this problem? I have read the fine print on the loan forgiveness application and do not see the wording that says the five years of teaching need to be with a professional license. This sounds like they’re trying to take advantage of you. Try contacting someone from the Department of Education to ask them about this particular provision, and be sure you can provide them with all of the details about your situation. I don’t think Nelnet can disqualify you from the program because of this part about the “professional license”, as I’ve never run into that requirement in any of my research. Have you tried escalating your conversations with them? (The old ask for their manager, then ask for their manager again, etc., until you get to a real decision maker). Also – if you can’t get sufficient assistance from anyone at Nelnet, or the Department of Education, then speak to a lawyer before giving up. I think you’re getting taken for a ride here, and you should be able to qualify for forgiveness as long as you’ve met all of the other conditions of the Stafford program. Thanks for the advice! I will reach out to the Dept of Ed for clarification on the provisions. I have a feeling Nelnet is in the wrong, as I also applied for forgiveness with Sallie Mae and that application WAS approved. If it’s a federal program, then all servicers should be using the same criteria. Happy to share this update – when I called the Dept of Ed, they put me in touch with the federal student aid ombudsman group. I shared the details of my case with a worker there, who made follow up calls to the loan servicer (Nelnet). Today I found out that Nelnet will forgive the remainder of my loans. Hooray! The Ombudsman Group was great to work with. The caseworker checked in with me to keep me updated through the process. They say they are not an advocacy group and that their role is to make sure the laws dealing with student aid are applied correctly. I would encourage anyone who is having trouble with loan forgiveness to reach out to them. Excellent news! Thank you so much for coming back and sharing your story with me Katie. This is exactly why I started this website in the first place. Congratulations!!! I believe that they should still provide UP TO $17,500 in forgiveness, but I’m not sure how this will sort itself out. Call the Federal Student Aid Information Center at 1-800-4-FED-AID (1-800-730-8913) and ask them what to do. Then, please come back here and let me know how it works out. I’ve never had anyone ask this question before, and I’ve never run into any literature on it, so I’d like to know how it works if you have more debt than the program specifies. Hopefully, they’ll be able to forgive $17,500, and you’ll only be responsible for the remaining debt. I have worked full time at a title one elementary school since Nov. 2006. I took 6 months off as a personal leave to take care of my baby. Then went back part time for 6 months then been there full time ever since. Do I still qualify for this loan forgiveness ??? I can’t seem to get a direct answer and my principal will not sign off on the application until it’s certain that I’m approved. Any help would be appreciated. Thank you !! Look at the section that starts with “What Happens if I Miss an Academic Year?”, where you’ll find the rules for determining whether or not your teaching service can still count. Under a few certain circumstances, you can miss a year and still be able to use it as part of your “five complete and consecutive years” of teaching, but you’ll have to satisfy one of the conditions listed there. It’s too complicated to write it all out again in this comment, but take a look at those elements and you should be able to determine whether or not your time will count. My opinion is that you need to fight for this, and can probably get approval, but you may need the Principal’s help (getting him or her to certify in writing that they “considered you to have fulfilled your contract requirements for that academic year”). It also depends on when your 6 months of personal leave time took place (during the academic year, or partially during the Summer? ), because as long as you completed at least half the academic year then that won’t be a problem. The part-time piece though… I’m not sure how that will come into play. Try contacting the Department of Education to get an answer from them, as they’re the final approval people and will need to rubber stamp this in order for it to go through. I applied for Teacher Loan Forgiveness and was denied. Who do I contact to find out the reason why? Do I call my loan provider directly? HELP! I know that I qualify– just can’t seem to get to the bottom of this! I’ve been getting a lot of the same feedback from other people – apparently many have recently been turned down for Teacher Loan Forgiveness and Public Service Loan Forgiveness. Don’t give up though – contact whoever services your loan to ask for details from them. If they can’t explain things to you, then try calling the Federal Student Aid Information Center at 1-800-4-FED-AID (1-800-730-8913). How do I apply for the teacher loan forgiveness? I graduated in 1996 with my BA and have been teaching ever since. Since my loans were prior to 1998, would I not qualify for the teacher forgiveness program? Unfortunately, according to the information I have, Stafford Loan Forgiveness is only eligible to people with loans issued on or after October 1st, 1998, so yes, you would not qualify for the program. However, I would recommend that you contact whoever services your loan to find out if anything has been updated, or if there’s any way that you can qualify for some other form of loan forgiveness. I have a question about this 1998 business: I began college in the fall of 1997. I had one Stafford loan out from 1997-1998 and took out a Stafford Loan each year. I thought there was a six-month grace period upon graduation to start paying back your loans–does that not pertain here? And if not, why? There is a 6 month grace period for when loans go into repayment, but the issue is when the loans were originally taken out, and your original loan won’t qualify since it was before the cut-off. They always have to set arbitrary start and end dates for programs like these… you just go unlucky in that your first loan was outside the range. I’m sorry to hear about your situation. The way these laws are written sometimes makes very little sense, and this is an example of the sort of thing that can be crushing to those who need loan forgiveness the most. It may be possible to finish paying off the loan that was dispersed before October 98, then qualify for forgiveness on the rest of your loans, so be sure to speak with whoever services your loans to see if that would work. I’ve downloaded the form previously, but just realized it says that it expires 11/30/2007 and the only other one I can find says it expires 5/30/2014. Is there a current application? The link in the information above is not active. Unfortunately, I can’t find a current version of the form either. The only one that I’m able to find is the same form that expires 5/31/2014 (here). I’ll reach out to my contacts and see if anyone can direct me the right way to the current form, or explain why there isn’t an updated one hosted on the official Government website. You are concerned that the Teacher Loan Forgiveness Application’s expiration date is May 31, 2014. Please note that until the revised version of the Teacher Loan Forgiveness Application has been approved, loan servicers may continue to accept the current version of the application with the May 31, 2014 expiration date. If you have additional questions, contact your loan servicer. If you are not sure who your loan servicer is, you can look it up on the National Student Loan Data System, NSLDS(R), website at http://www.nslds.ed.gov. To obtain contact information for the loan servicer, click on the number in the blue box next to the loan type. Sounds like the expired application form is still your best bet, but that it will depend on your loan servicer. I applied for teacher loan forgiveness on the last day of the 2013-2014 school year so that I could meet the May 31, 2014 deadline. I have taught for five consecutive years in two different school districts both at middle schools; however, I just received word that I was denied because “In order to be eligible for Teacher Loan Forgiveness, you must teach at a low income school district for five consecutive years. Both school districts are low income. Was I required to teach in only one school district for the five years? I have taught for five consecutive years. Should I have waited to turn in my paperwork when the new school year started? I should be receiving answers from both Sallie Mae and Department of Education sometime this week concerning my denial. I ensured (which teaching) that all my ducks were in a row for the teacher loan forgiveness program. Now, I have a denial letter that I am not happy about. Have you heard of any success stories with this program? I have definitely heard of this program working for teachers, but I am not sure about the answer to your question. I’m going to research this today and will let you know. Looks like you shouldn’t have a problem based on bouncing between schools, districts, etc. So – something else must have gone wrong with your application. I cannot tell you with any certainty what happened, but you’ll definitely want to figure that out and reapply. Stay strong and don’t give up. Sometimes little snags can hold stuff up in the process, but you’ll eventually get the loan forgiveness that you’ve earned, and which you deserve! Its extremely frustrated to find to proper information regarding teachers loan forgiveness on the basis of short teachers shortage. I applied for TLF and was denied because my school is not listed in the low income schools directory. My local Human Resources Rep. directly me to the teachers loan forgiveness on the basis of teachers’ shortage. So far, I can’t find such application. Unfortunately this is a complicated program and qualifying for the benefit typically does require that your school is listed in the low-income schools directory. However, it is actually possible to get approval for the program even if your school isn’t listed in the directory by contacting your state representative to ask them to consider your school. To do that, please refer to the State Contact list published here. At the time of writing this comment, the official responsible for the Virgin Islands is Dr. Noreen Michael, who can be reached via email at nmichael@sttg.k12.vi.